Ah Hui Big Prawn Noodle was originated from Longhouse along Upper Thomson but has since moved to Balestier Market and Food Centre. 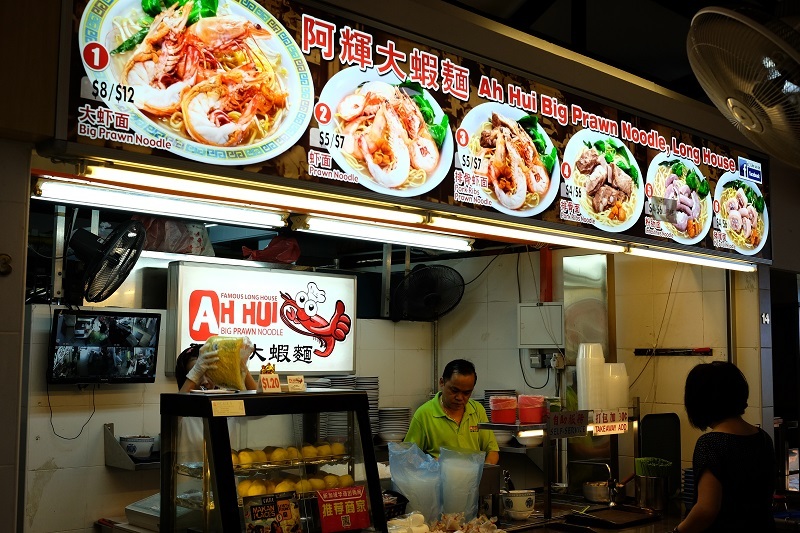 You can hardly miss Ah Hui Prawn Noodle when you patronize Balestier Road Food Centre, the stall is just side by side to Ah Hui Teochew Fish Noodle. We went for the $7 serving which came with two medium size prawns and pork ribs. 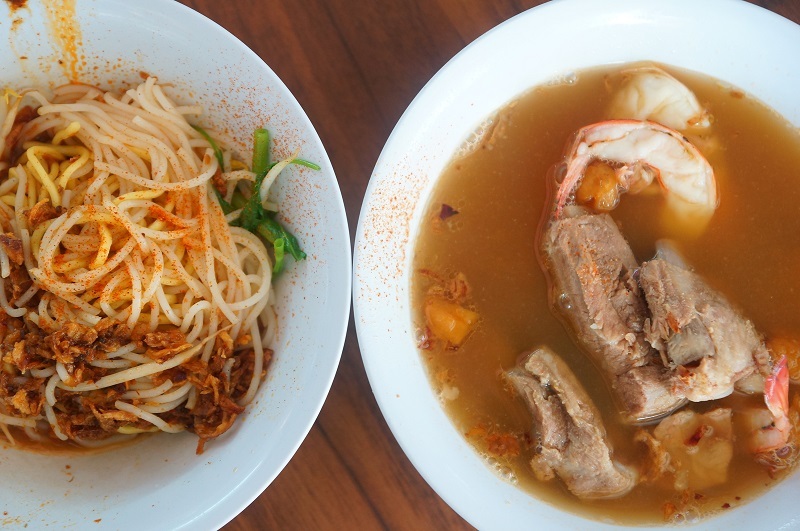 Two key confluence factors decide a good or bad prawn mee, besides the tastiness of the broth; the concoction sauce with the dry version can make or break the taste. 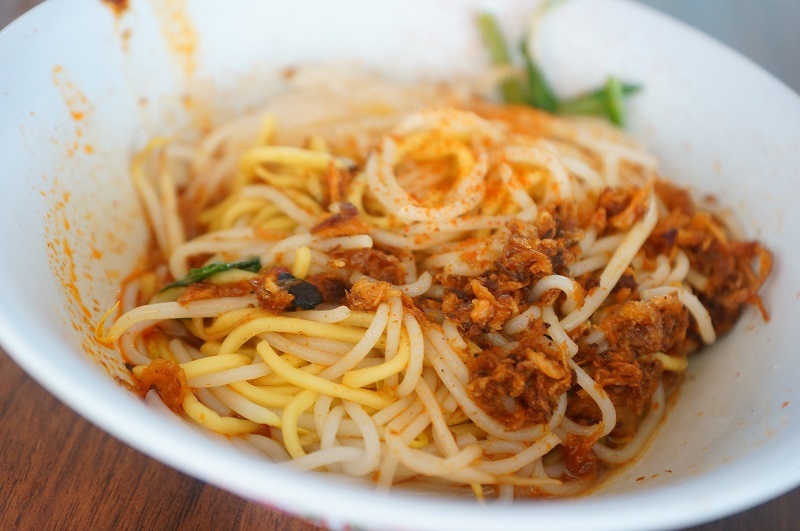 Texture of the noodle was acceptable but the mixed sauce at Ah Hui was mildly spicy and on the saltier side, the saltiness could be too overwhelming and masked the fragrance of the sauce, rendering the bowl of prawn mee to be tasted ordinary in taste. The prawns could be springier and the tenderness of the pork ribs needs some extra work to make it more jaw-chewing friendly. The prawn broth was sweet and tasty but somehow missing the seafood flavour. 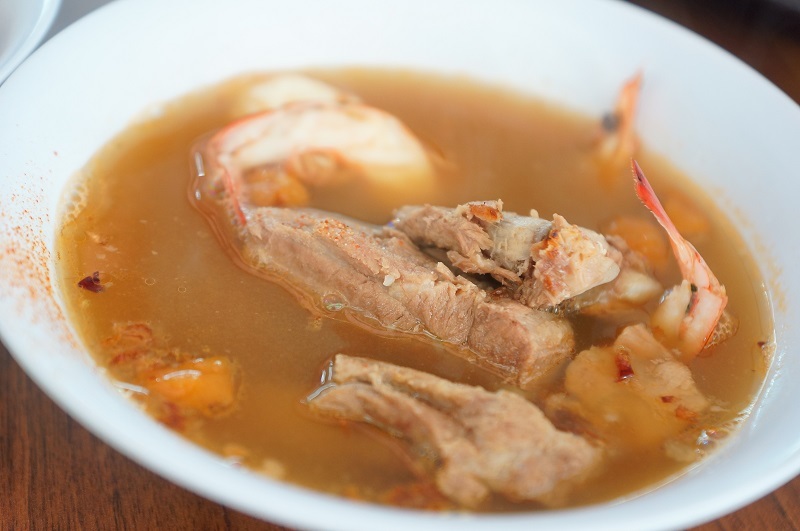 Well, may be it was just the start of the business for the day and the broth may be relatively fresh, the flavour in the broth should be intensified over the day with sufficient time given to extract the essence of the subtle taste from the crustaceans. Ah Hui Big Prawn Noodle not able to create too much the excitement could be just incidental, a bit more efforts to perk up the missing seafood flavour could well turn things around.